The solid reputation of the Husky brand comes from the many years of great success of its wet & dry central vacuums. 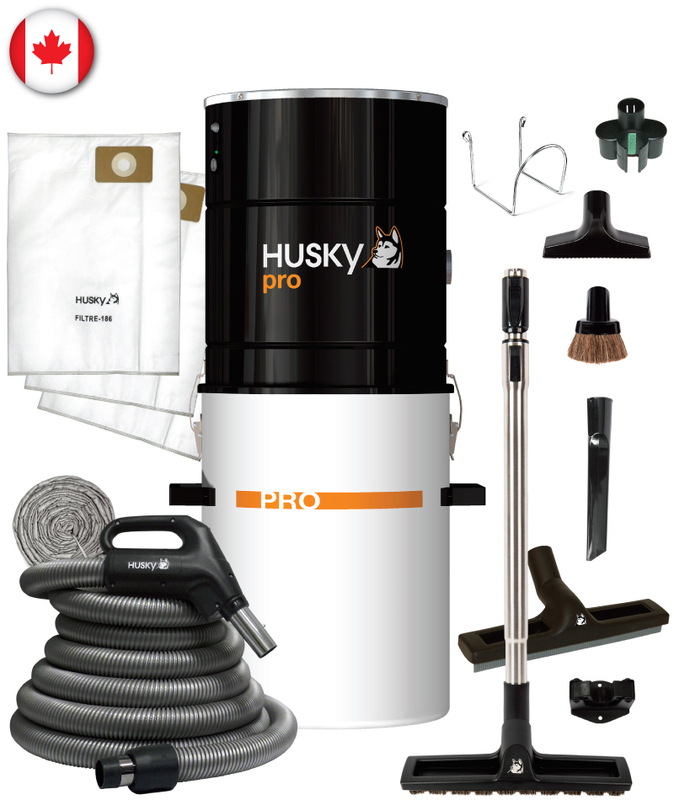 Recently redesigned with sophisticated and discerning praise, the Husky PRO dominates the wet & dry world in central vacuuming. Equipped with two motors for unequalled vacuum power, the PRO offers great characteristics for complete cleaning efficiency in any residential or commercial vacuuming jobs.